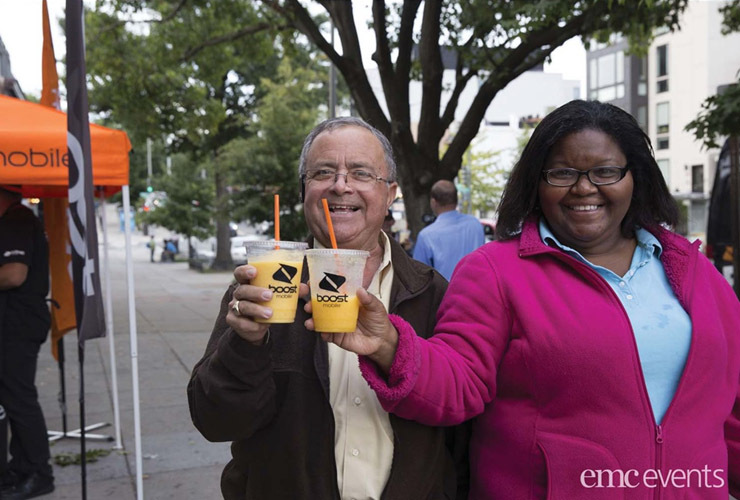 Boost Mobile: Bringing Smoothie Fun to the Masses! Trying to directly target your audience, while providing them a unique and memorable memory, allows a brand to get creative with how they approach the campaign. 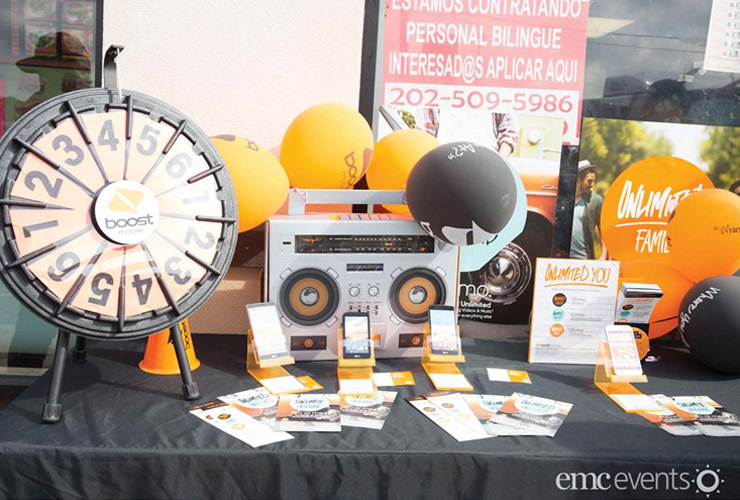 That’s why Boost Mobile turned to EMC Events for an experiential program that would allow direct access into markets where the target audience resided, and reach out to them about Boost Mobile’s offerings. The solution was a custom-built smoothie truck with fabricated sunglasses on the top that delivered free smoothies and pop-up fun to specific areas within each market. This campaign reached targeted areas across Baltimore, Washington D.C. and Charlotte. EMC Events put together a routing strategy that reached heavily trafficked areas of each market, optimizing interactions and impressions for Boost Mobile. Strategy: Use of out of home media to surprise and delight current and potential Boost Mobile customers at target store locations in the Baltimore, Washington DC and Charlotte markets. 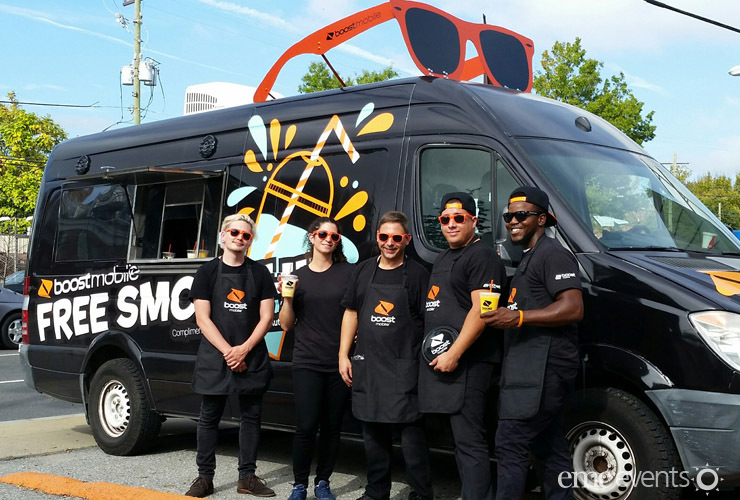 Tactics: To reach Boost Mobile’s audience, EMC Outdoor utilized a Sprinter fabricated with sunglasses and filled with smoothie making supplies to paint the town orange. 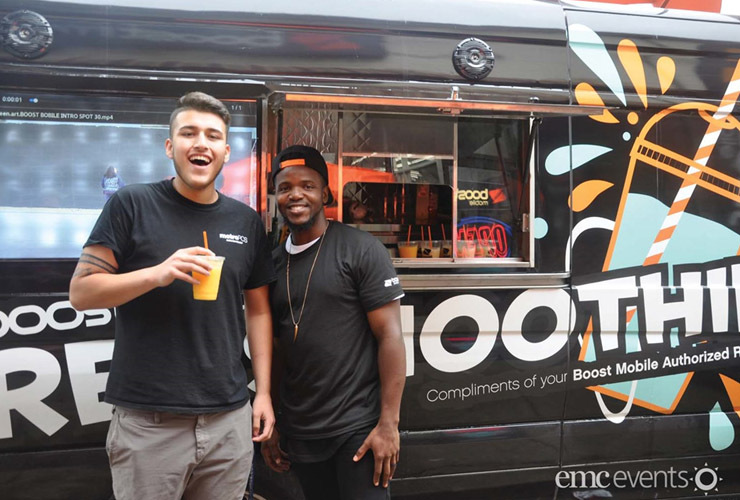 A total of 46 Boost Mobile stores had the smoothie truck on-site over a 3-week campaign to build brand awareness of each location and current phone/plan offers. 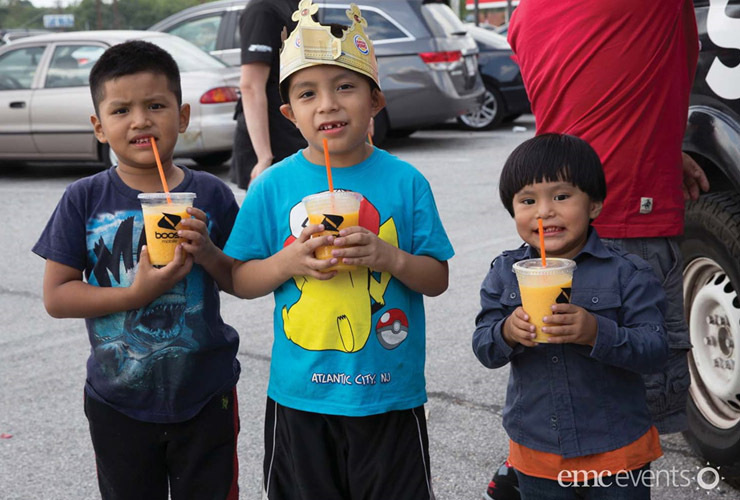 Results: The Boost Mobile team targeted 3 cities, visited 41 stores, distributed 5,409 smoothies, traveled over 1,000 miles and garnered an estimated 223,500 impressions! 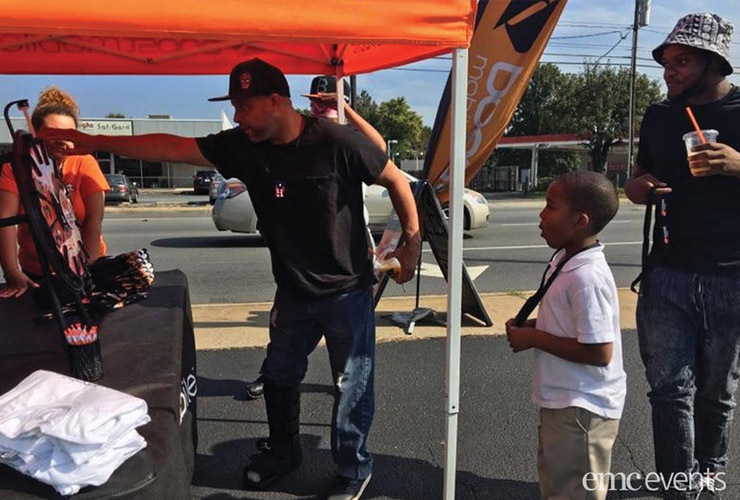 Over the course of 3 weeks, Boost Mobile brand ambassadors met thousands of people in multiple markets. 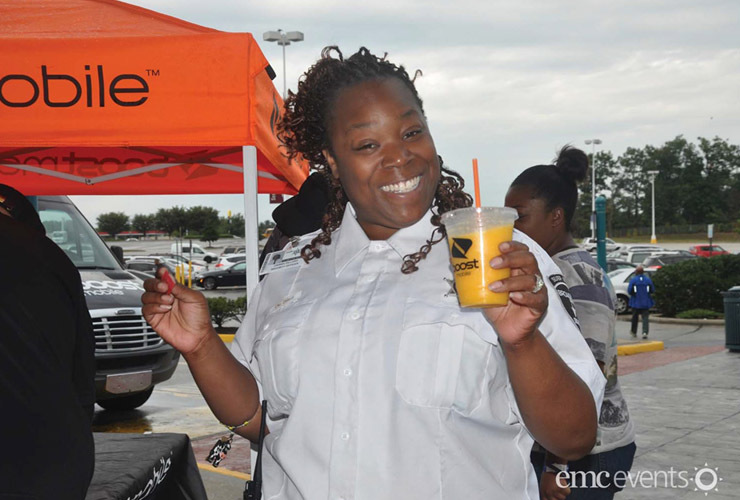 Those who interacted with the brand ambassadors and the smoothie truck walked away with a deeper knowledge of Boost Mobile and a fond memory of games and delicious smoothies. Contact us to learn more about how EMC Events can help you cultivate a campaign to directly reach your target audience in a fun, unique, and memorable way! May 5, 2017 | Filed under Event Marketing, Featured, Non-traditional Media, Wrapped Vehicles and tagged with brand ambassadors, EMC Events, event marketing, experiential, gas station advertising, guerrilla media, jen stuart, mobile advertising, mobile media, out of home, out of home advertising, outdoor advertising, regional, Street Team, street teams, wrapped vehicle.